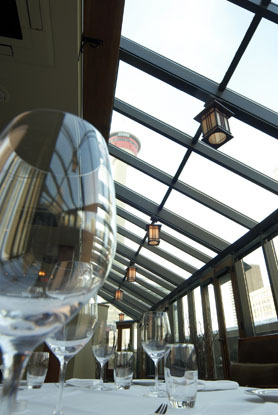 Parchoma and Jones Design Inc.
Nestled among the booming downtown of Calgary in oil-rich Alberta, Canada, Catch Restaurant offers a unique 3-level dining experience. 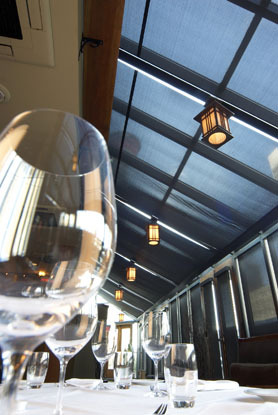 Designed by Parchoma and Jones Design Inc., this historical structure is home to an "East Coast" inspired oyster bar, topped by fine dining on the second level, and capped off with rooftop dining. 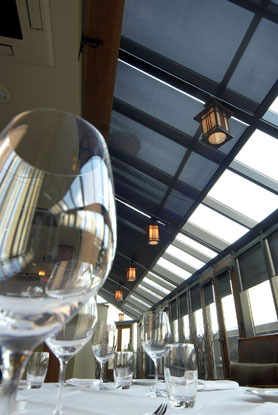 "The mix of formal, casual and roof-top dining environments make the most significant contribution to the success of the space and to the overall appeal of the restaurant" say the designers. The uppermost level is perhaps the most popular, favored by corporate types and wedding parties alike. 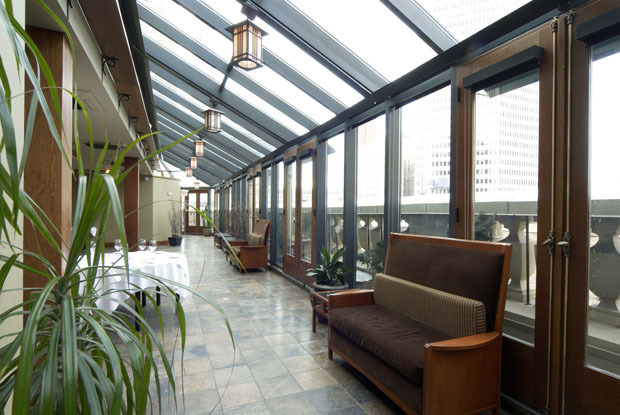 On a cloudy day, ample light makes its way into the space through large windows and skylights. 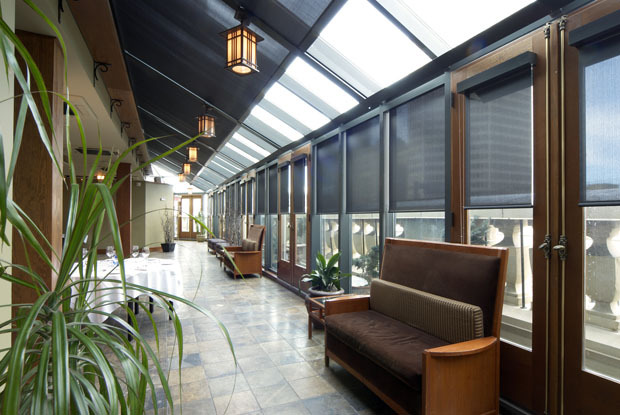 But to control heat and glare on sunny days, the glass enclosure features roller shades and skylight shades from Hunter Douglas Contract Window Coverings. 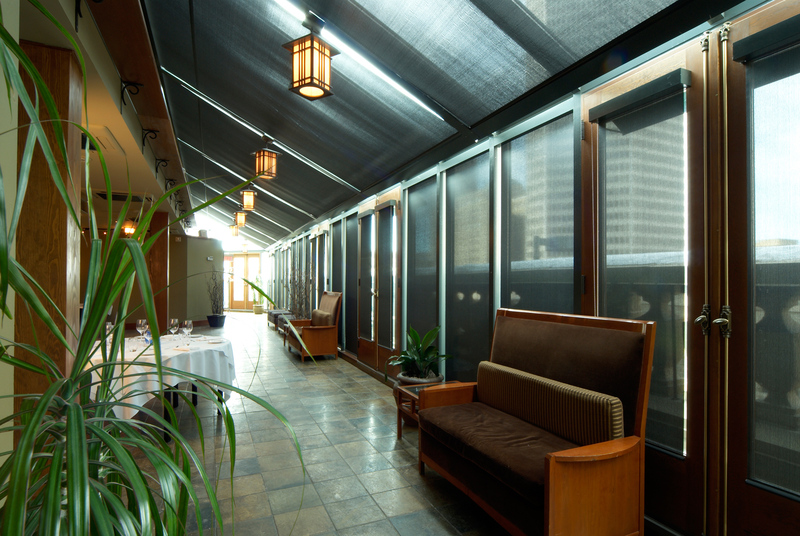 The large shades form flat, taut screens on the glass walls and ceiling areas, forming a translucent nest for patrons.